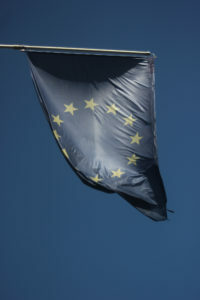 The EU affects virtually every aspect of the UK’s health laws and policies. NHS staffing, integrated health care on the island of Ireland, cross-border healthcare for travellers, retired UK nationals in Spain, pharmaceutical and devices supply chains, human tissue and organ safety, research data – all, and more, are currently regulated by EU law. There is specific EU law on health: medicines regulation; clinical trials law; mutual recognition of medical professionals’ qualifications. There is also general EU law which applies to and in health policy contexts: EU competition law, procurement law, state aids law, trade law, free movement of workers and citizens, and so on. A great deal of law must be unpicked or reconfigured. Article 50 TEU’s timeline, coupled with the domestic politics of the UK’s current constitutional arrangements (including the Conservative UK government, and its relations with the ‘devolveds’), means there is scarce time for an ‘orderly’ Brexit. Unless something changes, the UK will leave the EU on 29 March 2019. The most disorderly Brexit (a ‘no-Deal’ Brexit without even a Withdrawal Agreement) will constitute a major rupture in the certainties surrounding (health) law in the UK. There are also uncertainties with a more orderly Brexit, given the need to adopt and interpret new legal texts within very tight timeframes. No form of Brexit is good for health. But some forms of Brexit are significantly worse. Our initial analysis (The Lancet September 2017) shows overall, a no-Deal Brexit is by far the worst for health systems and policy. With anything other than a ‘soft Brexit’ (‘EEA light’/‘Norway+’), which overall is the least risky for health, there is theoretically scope for improvement on EU law (for example, a more child-health and anti-obesity focused approach to food regulation). But here is also significant risk. If the UK moves to a low regulation economy, under the guise of ‘cutting red tape’ or ‘attracting inward investment’, the implications for health are highly negative. LeaveEU has already called for reducing the time it takes to train doctors. Our more recent analysis, (22 November 2018) compares a no-Deal Brexit with those in the short term under the Withdrawal Agreement, under the NI Protocol if it comes into effect, and – in as much as we can discern from the political statement – under the future relationship. A no-Deal Brexit is significantly worse for health than the Withdrawal Agreement. There are aspects of the post-Brexit future for health that would be relatively unchanged, if the NI Protocol comes into effect. These mainly concern products: medicines regulation, supply of medicines, devices and equipment. They include some aspects of the broader regulatory environment as they affect the NHS and health professionals, such as employment rights. There are some major negative implications for health, whatever the form of Brexit. First, in all forms of Brexit, UK influence suffers. The UK is excluded from the EU’s structures and institutions that determine many aspects of its health law and regulation. This happens from Exit Day. Second, because of the timeline, Parliamentary scrutiny and oversight from other stakeholders is exceptionally difficult. Lack of scrutiny means mistakes can be made inadvertently. But, more critically, it also means that more powerful interests may be able to secure advantages outside the normal spotlight of transparency that secures at least some accountability for policy choices. For instance, hundreds of statutory instruments will be needed by 29 March 2019, and are being laid before Parliament under the EU (Withdrawal) Act 2018. These are highly technical legal documents. Who will have time to check whether they simply secure legal continuity, or whether they in fact make legal or policy changes? For instance, plasma for younger patients is currently sourced from Austria because of potential contamination from ‘mad cow disease’. This precaution could be quietly dropped. Third, the UK’s wider economic performance post-Brexit is important in terms of NHS financing. The UK Government’s own impact assessments show that the places that will suffer the most in terms of reduced growth are those that already have the worst population health. There are major implications for health inequality. But – critically – Brexit creates major uncertainties. We simply do not know what to expect for the NHS and health. Particularly with a no-Deal Brexit, the EU legal frameworks that currently structure and support the NHS and health law in the UK will suffer an abrupt rupture. The UK government apparently has some contingency plans, but these are not transparent, because they are said to be ‘commercially confidential’. Even if legal structures change, health services and health professionals are unlikely to change their practices, particularly those involving an ethic of care, solely because of a formal legal rupture. In the event of a no-Deal Brexit, we might expect services such as air transport to be disorderly. But, where it is possible to continue as is, even though the formal legal position has changed, health provision can be expected to continue as far as possible as it was. This is consistent with long-standing socio-legal scholarship which shows that formal law does not necessarily determine relationships (especially of ‘neighbourliness’ or where there are shared professional ethics). We therefore expect ‘a-legality’ – people acting outwith or despite the formal legal structures. So, for instance, around 190,000 British pensioners live in the EU27 and rely on reciprocal arrangements based on EU law to secure residence, pensions, and, crucially, access to healthcare, with minimum administrative formality. As the Withdrawal Agreement stands, they will be able to continue to rely on their existing rights. But, under no-Deal, were all these pensioners to return to the UK, the NHS would need some 900 additional beds to ensure sufficient capacity. We would then face significant disruption and disorder in the NHS. In the short term, while the law ‘catches up’, it is unlikely that those British pensioners in Spain or France will be turned away from the doors of the clinics that they accessed just days before. It would take some time for the national authorities to stop current practice based on ethics of care. They might instead negotiate a bilateral agreement with the UK about reimbursement: a Bill before Parliament will give the Secretary of State for Health power to enter such agreements. In the meantime, we expect ‘a-legality’. However, ‘a-legality’ will not secure continued relationships in all situations. Without a Withdrawal Agreement, supply chains for pharmaceuticals, medical devices and substances of human origin would be hugely problematic. In NHS supply chains, components, or products, may cross EU-UK borders multiple times on their journey from start of manufacture to patient. NHS efficiencies mean ‘just in time’ processes. They break down if there are border delays. Under WTO law, unless the UK removes all checks on products coming into the UK, products from the EU would need to be checked. Checks add time. And delays disrupt ‘just in time’ systems. Staff at a UK port or airport could not continue exactly as at present, as on a no-Deal Brexit the UK would be locked out of the electronic systems that currently manage intra-EU trade. Would they simply waive through lorries or crates coming in from the EU? Maybe so, if required to do so by UK authorities, despite potential breach of WTO law. But will staff in the Netherlands, or France? Surely not: the EU’s contingency planning for no-Deal is advanced, and, for instance, the Netherlands has invested in human capital and infrastructure. Here we can expect disorder for the UK NHS, as well as for the health systems in EU Member States that rely on product supply involving the UK. How might the health sector attempt to future-proof against uncertainty? Here is one example. Effectively there is one health workforce on the island of Ireland. People cross the RoI/NI border daily to provide health services. Services designed for both sides of the border meet collective needs. Sexual health, diabetes and eating disorders are all integrated services offered to patients in both Northern Ireland and Ireland. The radiotherapy centre at Altnagelvin Hospital in Derry/Londonderry is accessible to patients in County Donegal who would otherwise have to travel long distances – to Dublin or Galway – to obtain treatment. 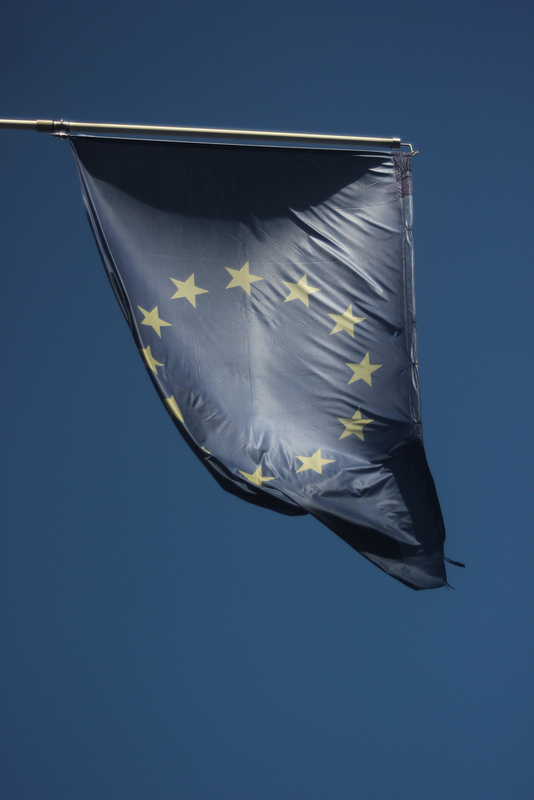 EU integration enables economies of scale. In 2014, the NI and RoI health ministers agreed to set up a joint child heart facility in Dublin. All of this cooperation is facilitated by the EU Directive on the mutual recognition of professional qualifications and on EU rules on data protection that enable the sharing of patient details. Post-Brexit, it is all jeopardised. So the relevant professional organisations for midwives have entered into a partnership agreement, which includes shared training, and is explicitly intended to ‘Brexit-proof’ existing collaboration. The law matters. It will take time for the UK to remove itself from the system of EU law, to a looser collection of agreements with the EU. Because of the Article 50 clock, we can expect law’s place to be less central, and matters to be less certain, than they would be under different circumstances. Health law and policy after Brexit: a place of a-legality, uncertainty and disorder. Acknowledgements: This blog is based on the keynote at Eleanor Brookes and Mary Guy’s Workshop on EU Health Law and Policy 29-30 November 2018, as part of their British Academy/Leverhulme project. The ESRC Brexit Priority Grant ES/R002053/1 (PI Jean McHale) is gratefully acknowledged.